I have been trying for many years to track this down without success. There were reports going around that Vangelis provided music for a series of tapes for medical students in Greece, and that these tapes were sold to students of a surgeon. It was not clear who the surgeon was. It took a great deal of research to finally track down a piece of the name: Tegos. I remember finding this information at the EMI Publishing website some time ago, when it used to list all the songs that Vangelis had registered. That site identified "Tegos Case 1-35." 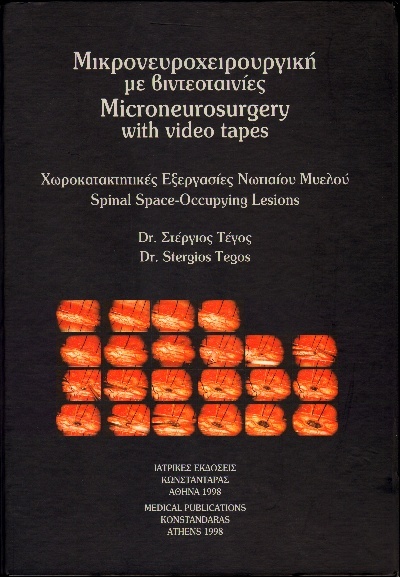 Based on that, I asked around to friends in Greece about it, and it was learned that there was a neurosurgeon by the name of Dr. Stergios Tegos in Athens. Despite that, finding the tapes was another story and they were not located. I had pretty much given up on the prospect. I struck gold. I asked the clerk if she could ship this to the USA, as it had some weight to it, plus I had many more days of vacation to go and I was concerned about dragging it around Greece. She said no. Having no choice, I decided to buy it right there and take it with me. 350 euros later, it was mine. And so for the next several days, until September 22, I carried this treasure around with me until we returned to the USA. 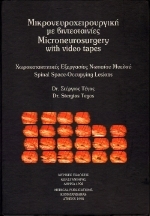 Inside this wonderful case was a 253 page book that contains a forward by Dr. Tegos and a detailed description of 35 cases involving microneurosurgery performed and recorded on the enclosed three videotapes. In the forward, it is explained by Dr. Tegos that Vangelis had recorded music specifically for these tapes, as the subject matter can be "monotonous." He also describes their friendship and the special requests he had made of Vangelis for this project. The amazing thing here is that each videotape is 4 hours long. It took a few moments for this to sink in with me...is there really 12 hours of previously unheard Vangelis here? If you want to try and get one, click here, and good luck.